Mother Goose. Through sing-song rhymes told over and over, I learned about rhythm and rhyme, and developed a love of language. I also learned that all of humanity is a foolish, pitiful, laughable lot – no matter who you are or what your station. Not a bad lesson to learn at age 2! 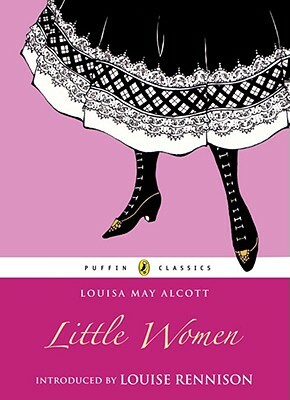 Little Women by Louisa May Alcott. I skipped picture books and borrowed this from the library when I was 6. I loved it until The Tragic Event happened and I ran crying to my mother: why did the author write it that way? I re-read it when I was 11 and understood the plot better, but I came away thinking that authors are wily creatures who have our lives in their hands. Diary of a Young Girl by Anne Frank. I knew nothing about this book when I picked it up at age 12. I was floored by the ending. This time it wasn’t the author I was questioning, it was the universe and God. How could such things be allowed to happen? It was the beginning of my education about injustice in the world. Are You There, God? 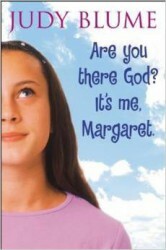 It’s Me, Margaret by Judy Blume. Very popular in its day, it was a reassuring novel about puberty for girls. Religious questioning also featured heavily, which was right up my alley. 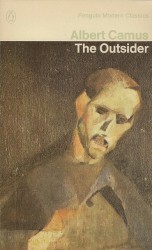 The Outsider (L’Etranger) by Albert Camus. The amorality of the character in this book made me squeamish, and it spurred me on to be a better person. Even if life had no intrinsic meaning, there was no justification for a self-centred existence. You had to make your own meaning. A good lesson for age 17. What more perfect words for timeless youth! And I am sure I researched every literary and historical figure she ever mentioned. 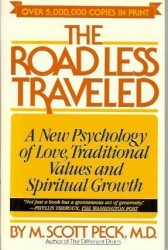 The Road Less Traveled by M. Scott Peck. This was my self-help Bible for about 10 years. It stated that the point of life was personal growth. You should always strive to be your best self, and attract others who support you on that journey (while you respect and support theirs). When I re-read the book now, I find it trite. But I can’t underestimate what a source of strength it was for me then. Material World by Peter Menzel. This is the big photo book that depicted families from around the world in front of their homes, surrounded by everything they owned. It drew attention to materialism 15 years before minimalism enjoyed a resurgence (after the latest recession). It opened my eyes to the accumulation of Stuff. 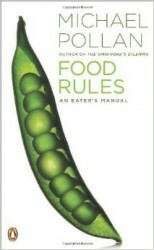 Food Rules by Michael Pollan. I am not a food purist. My own rules are pretty liberal. But I just love how Michael Pollan distilled Real Food and Clean Eating into a series of little axioms for living: “Eat food. Mostly plants.” “Do all your eating at a table.” “Avoid foods that are pretending to be something they are not.” “Sweeten and salt your food yourself.” He writes about food as if it is healthy and meant to nourish you. What?! I could go on and on…I could list The Complete Works of Shakespeare and The Bible and The Oxford English Dictionary. But I’ll stop now. You know that books open minds and change lives! I too remember crying over Beth in Little Women. It’s still a book I enjoy. Did you read March by Geraldine Brooks? It took me a while to get into it, but once I’d read a few chapters, I really enjoyed it. Hi Jen, I’m sorry I missed this comment! I haven’t heard of March, and I just looked it up and saw it won the Pulitzer. It looks like a book I should read! I love this list. What a great thing to be awoken to feminism at 10 years old! Sorry I missed this comment when you sent it! It really was life changing to hear the message at that age. It was the mid 70s and the “feminist revolution” was still immediate and ongoing. Interesting selections. I need to check some of these out. I have only read a couple. Thanks for sharing your favorites that impacted you. Yeah, I found it surprisingly difficult – I like lots of books, but lots of my favourites haven’t changed anything for me. Not the most literary list, but each book changed my life. Great list, Jamie – I have read half of them, and will have a look at the others! Lots of good ones here! Judy Blume is one of my favorite authors. I listened to her speak about 5 years ago and adored her even more afterwards. I had to look up the Camus because I knew it sounded familiar – in the version I read, the title was translated as “The Stranger” rather than “Outsider.” I wrote an essay about how that book helped me through a break up, though I forget the connection between the two now. Probably deserves a reread. Now you’ve got me wanted to re-read The Stranger/Outsider too! I keep wanting to swap out one or two, but I won’t. This is my list. Thanks for your list, Holly! I have read 5 of those. I have to ask what about Wuthering Heights appealed to you? I read it fairly recently and found it unrelentingly bleak. I think I read Sheila Levine when I was much too young to appreciate it! Aha, I am not sure Wuthering Heights appealed to me as much as it affected me! 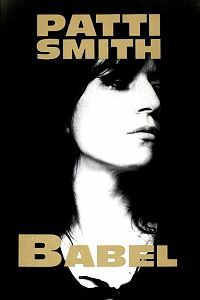 Yes, it is unrelentingly bleak, and very sad; I felt cold the whole time I read it, and it instilled in me a sense for romantic tragedy which I had not encountered in literature I’d read before. I was probably in 7th or 8th grade when I read it, so guess that explains some of why it affected me so. I was late teens when I read Sheila Levine. A friend and I read and reread it and could even quote parts of it to each other! In hindsight I am thinking I should have included Sophie’s Choice on the list instead of either Wuthering Heights or 1984. Such a difficult task. Little Women! I loved that book when I was little. I should reread it one day too. I can’t believe you picked that up at age 6 though. Wow. I love the photography by Peter Menzel. I haven’t read/flipped through the book though. I’ve seen only his work online. Wonderful work. I also particularly like his work on what people eat around the world. Well, I’m sure I didn’t grasp much of Little Women, even though I could read the words. In fact I would do well to read it again now! I like Peter Menzel’s other stuff, too. He seemed so far ahead of his time. Anne Frank had the same impact on me at the same age, as did L’Etranger. 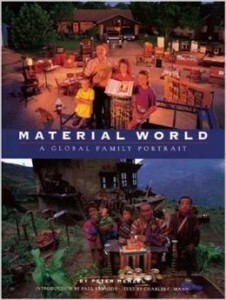 I have to get hold of that Material World book. I’ve seen many excerpts on the internet but would love to read the full version. I’ve never read Little Women – people keep telling me I have missed out! I can’t believe you read it at 6! I’m glad I read Little Women when I was a child and when roles for women still seemed constricted. It gave me the feeling that home life was important and to be treasured, but you might also have another path in life to explore (such as art or writing). I doubt the book would have the same impact on me now that those things are assumed. The Material World book doesn’t have a lot of text, but it makes more of an impact when you can see a wider range of photos. Hope all is well with you, Fiona. When is term break? Term break starts today 🙂 I am planning a pyjama day reading!! I’ve read all of those books–definitely great choices! 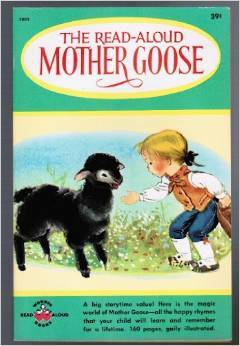 (Of course it wasn’t until I was an adult that I learned that some of those Mother Goose rhymes were quite tragic and macabre http://mentalfloss.com/article/55035/dark-origins-11-classic-nursery-rhymes). Cool! I have read up on the background of nursery rhymes, too. I bet not too many parents read classic fairy tales to their kids now either! (The Red Shoes terrified me). I loved Little Women books but I couldn’t believe Jo rejected Her neighbour. The feminist novel that affected me was The Handmaid’s Tale. I was brought up in Grimm tales, and even more grim, Strewwlpeter. Definitely affected by the horror of both set of tales. Judy Blume’s Forever was a changing book of my early teens. One story that truely affected me – showed me the power of words, I cried and flooded so many tissues – was A a Dog of Flanders. Read it at about 8. My, it is sad. And Anne Frank and All a Quiet on the Western Front both left their mark. And lastly short stories by early Australian author, Henry Lawson, developed my sense of being Australian, raised as I was by immigrants, and highlighted the inherent sexism of Australian mateship. I’ve still got three more. Mmmm. More recent readings that have affected me include The Poisonwood Bible and The True Cost of Fashion (forget the actual title but there’s been an impact on my spending.) And Deer Hunting With Jesus for giving me a different view of the US. I have read Handmaid’s Tale and Forever. I hate those “children’s” books that were written to teach morals – terrifying!